Local mystery author Linda Wiken will be in the store on Saturday, September 24 from 1:00-3:00pm to sign copies of her new book Toasting Up Trouble. 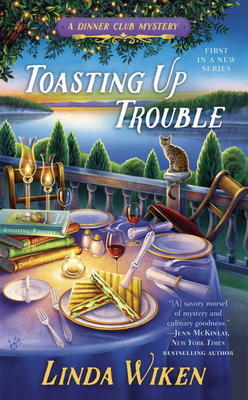 Toasting Up Trouble is the first book in her brand new Dinner Club Mystery series. Her previous series, The Ashton Corners Book Club series, was published under her pseudonym, Erika Chase.